A racist arrested by chance at a railway station was "on the cusp" of waging a terror campaign using tennis balls and weedkiller, a jury has heard. Neil Lewington, 43, had a bomb factory at his parents' home in Reading, Berks, and wanted to target those he thought "non-British", prosecutors alleged. 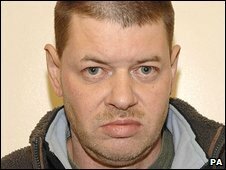 The Old Bailey heard he was carrying bomb parts when arrested at Lowestoft, Suffolk, for abusing a train conductor. He denies eight charges related to terrorism or explosives. Brian Altman QC, prosecuting, said Mr Lewington was found to be carrying the component parts of two "viable, improvised incendiary devices". His holdall had been searched after his arrest, when he was also held for drinking and smoking on the train and urinating in public, the court heard. Later searches of Mr Lewington's home revealed a notebook entitled "Waffen SS UK members' handbook" which contained drawings of electronics and chemical mixtures, jurors were told. "In addition to all of that, the police discovered evidence that the defendant sympathised with and quite clearly adhered to white supremacist and racist views," said Mr Altman. Mr Lewington had an "unhealthy interest" in the London nail bomber David Copeland, America's Unabomber and Oklahoma City bomber Timothy McVeigh, the court heard. Mr Altman said: "The effect of these finds is to prove that this man, who had strong if not fanatical right-wing leanings and opinions, was on the cusp of embarking on a campaign of terrorism against those he considered non-British." He said Mr Lewington had two video compilations of news and documentary footage about bombers and bombings both in Britain and the US. This interest had gone "far beyond the mere intellectual or academic levels", Mr Altman said. "In the privacy of his own bedroom and far from the gaze of his parents with whom he lived, this defendant had amassed the component parts of and had begun the manufacture of improvised explosive or incendiary devices," he said. Mr Altman said Mr Lewington left school at 16 without qualifications but had worked in a number of electronics jobs. He had been unemployed for 10 years after being sacked from his last job for being drunk and, though he lived with his parents, had not spoken to his father for 10 years. His mother said he had placed Plasticine in the keyhole of his bedroom door so no-one could see inside, the court heard. It was alleged that Mr Lewington, described as "a loner", had met a number of girlfriends through mobile phone chatlines. One said she was put off when he made racist remarks, while another - an army cadet sergeant - said he asked if she had dealings with the Nazi group Combat 18, the court heard. Mr Lewington had taken some weedkiller from her and later told her he had bought a child's chemistry set to use for making explosives, Mr Altman said. Mr Lewington is accused of preparing for terrorism by having the bomb parts in a public place. He also faces two charges of having articles for terrorism - including the weedkiller, firelighters and three tennis balls - two of having documents for terrorism and another of collecting information for terrorism. Two further counts allege he possessed an explosive device "with intent to endanger life" and that he had explosives, namely weedkiller.